There is no stronger feeling than the stomach-sinking uncertainty when your trust is violated. That feeling will not just go away. It’s there for a reason. When two people spend years together you get to know each other very well and when something changes, even so slightly, you know. You feel it. It’s that gut feeling that helps our service men fighting overseas or our law enforcement that has been on the streets long enough to know “something just isn’t right.” No-one knows that person as well as you do, not even their parents. Your with them all the time and have been for years. And now, for whatever the reason, the openness and communication that is so important to you seems to be gone; it’s been replaced with suspicion and doubt. Why has he/she started wearing different clothes, changed the cologne/perfume, She’s been sending secretive texts. He’s been working later and later. Is he/she really out with girls/guys? Why is he/she always going out without me? Why is he getting off the phone in mid sentence when I walk into the room, or going outside to talk on the phone when I’m home? All of a sudden he/she keeps his/her cell phone with them at all times. He/she all of a sudden has a lock on their cell phones. Why does he/she get so mad when I want to talk about or ask is there some-one else and all of a sudden it’s your entire fault. They’ll change the conversation to something totally different and blame it on you. I can go on and on with example after example. But it only takes one to send your emotions tumbling and then you get that “gut feeling”, that self preservation lifeline that tells you “something just isn’t right”. There’s no turning it off. Once it’s on it’ll continue to eat at you until you can see for yourself that it’s either happening or not. You just HAVE TO KNOW! DON’T LET LINGERING DOUBT GO UNANSWERED! Don’t let this “feeling” keep you from what’s important, your family. Find out what’s going on before it’s too late and it consumes you. A “gut feeling” is not always right on the money, but it’s close every time. Posted in Uncategorized | Comments Off on YOU DESERVE TO KNOW THE TRUTH! The Law Office of Todd E. McCurry has approximately twenty-five (25) years of experience in dealing with traffic citations and simple misdemeanors. We know that getting your traffic citation handled in a cost effective and expedient manner is important to everyone. When you are charged with a traffic offense, the worst thing you can do in most situations is just pay the ticket. While this may seem like the most cost efficient way to handle a citation, that misconception will quickly be set aside when you receive your next insurance bill after just paying your ticket. If you get points on your driver’s license, they normally stay for a period of three (3) years and your car insurance premium will increase for that three-year period. That is why hiring an attorney for a speeding ticket at a fee of approximately $150.00, plus paying the court costs may seem excessive at first, especially when the court costs and fine alone reach $263.00. The advantage to hiring an attorney is that your car insurance could go up as much as $300.00 every six (6) months and you will have a total increase of $1,800.00 for that one ticket over the life of the insurance premium increase. You could have avoided that increase by spending less than $500.00 to have it handled properly through an attorney. A second reason not to pay off a simple traffic ticket is that once you begin acquiring driver’s license points and convictions on your driving record the options that an attorney has for you decrease dramatically. There have also been several recent updates to the North Carolina Traffic Laws which limit the number and effect you can receive by a reduction of your traffic ticket to an “improper equipment”. For those of you who do not know, an “improper equipment” is a reduction of your charge that is a standard plea negotiation in speeding tickets to reduce the traffic offense to a non-moving violation. This serves to benefit the driver by protecting their car insurance premiums and meets the State and District Attorney’s needs by moving the case off the Docket and obtaining a fine and court costs to place in the State’s coffers. Until recently, improper equipment convictions were not shown on your driving record. However, following the latest round of Statutory updates, convictions for improper equipment are now listed on your driving record. Their use has also been greatly reduced by Statute. If you are facing a traffic violation of any kind, it is always better to consult with your Wilmington Traffic Ticket Attorney, Todd E. McCurry, so that you can make an informed choice on how to handle your citation and save money and your driver’s license. This article and its contents are for informational purposes only and are not to be construed as legal advice or as creating an attorney-client relationship. For more information or to contact Attorney Todd McCurry, call 910-772-1254 or email at todd@toddemccurry.com or lawyertm@bellsouth.net. At one time or another, everyone has either been injured or has known someone who has been injured on-the-job. This bulletin provides concrete steps that one can take to protect themselves, friends, or family members who have been injured in an on-the-job accident. Insurance companies profit and injured workers suffer to the tune of millions of dollars each year because injured workers do not know their rights. Workers rely on the wrong people to give them advice. Most people who have an on-the-job injury rely on their employer or their employer’s personnel department to fill out necessary reports, make sure vital information is saved, and to secure worker’s compensation benefits. Then, to make matters worse, they rely on their employer’s worker’s compensation carrier to give them advice about their rights and benefits. Nothing could be more dangerous. Only slightly less dangerous is listening to your friends, drinking buddies, or neighbors, no matter how well-meaning, for legal advice. The safest source of information is your Wilmington Workers Compensation Attorney, Todd E. McCurry. When a worker is injured, the employer’s usual concerns are (a) replacing the employee or the lost man-hours; (b) possible litigation; (c) increased employee complaints about safety; (d) possible OSHA inspections or safety violations; (e) the costs on their worker’s compensation insurance; and lastly, if at all, (e) the injured worker. Not every employer views these items in this order, however, most employees would be shocked to find that their well-being, treatment, recovery, and care are significantly further down the list than they ever imagined. The simple truth is that once an employee is injured, they become a liability and an adversary to their employer. Also, once an on-the-job injury occurs, the employer and employee become adversaries in the worker’s compensation process. It is not always in the employer’s best interest to timely file claims, to inform the employee of all their benefits, or to preserve evidence, including witness statements and/or photographs. Relying on your employer to provide worker’s compensation advice is like asking a cat to guard a canary. It is foolhardy. FILE A FORM 18 WITH THE NORTH CAROLINA INDUSTRIAL COMMISSION. Even if your employer fills out paperwork, promises to file it, promises to report the accident to their insurance company, the government and everybody else on the planet, DO NOT be misled. You have the burden to comply with the North Carolina Workers’ Compensation Act. N.C.G.S.§97-1, et seq. The Rules of the North Carolina Industrial Commission provide that a Form 18 shall be filed within thirty (30) days of the date of the accident and in no event later than two (2) years after the date of the accident. If this notice is not filed with the Industrial Commission and given to the employer, you could lose your claim totally. Do you think your employer’s workman compensation insurance company is going to tell you this? GET THE NAMES AND ADDRESSES OF ALL WITNESSES TO YOUR ACCIDENT. Write down the name, address and phone number for every witness as soon as you are able. Also record the names of all who provide care or first aid to any of your injuries. Yes, they may work with you at the current time and your employer may know where to find them, but people disappear, quit jobs, and/or move. You would be surprised how an accident that you thought everybody in your company saw suddenly has no witnesses. You can be sure that your employer will not help you find witnesses. Ernie Employee hurts his back at work on Wednesday afternoon. He tries hard, works in pain, and finishes the week. Some time over the weekend Ernie Employee goes to the emergency room and says his back hurts. The doctor examines his back and determines Ernie Employee has what he believes to be a strain. The doctor prescribes him muscle relaxers and takes Ernie out of work. Ernie Employee goes back to the doctor three or four times, and three weeks later tells his doctor that he hurt his back while lifting a motor at Muscle Motors. The insurance company and the employer’s attorney will point out repeatedly that there is no mention of how the accident occurred in Ernie Employee’s medical records until quite a while after the “alleged” date of accident. Furthermore, they will come up with every possible excuse as to how Ernie Employee could have hurt his back, i.e., playing golf on Saturday, changing his oil, cutting his grass, or a previous bad back from when he was in the third grade. Therefore, it is critically important that each and every time you see your doctor, you communicate with him fully, both as to the cause of your injury, pain or symptoms, and the full extent of same. Another common pitfall is failure to tell the emergency room or treating personnel about your injured back when you also have a broken arm. Obviously the broken arm is the most important and painful injury at the time, however, if you do not make a full disclosure of all your injuries, they will come under question later in your workers compensation case. GET A WRITTEN EXCUSE FROM A MEDICAL PROFESSIONAL BEFORE MISSING WORK. North Carolina law clearly provides that it is against the law for an employer to fire an employee who is injured on-the-job or who has to be out of work for any period of time due to an on-the-job injury. However, without a doctor’s excuse, employers routinely get rid of their “problem employees” (read: workers’ compensation claims) when they are hurt and fail to show up for work without a doctor’s excuse. Therefore, if the emergency room or the physician on your initial visit authorizes you to stay out of work, GET IT IN WRITING!! Provide the excuse to your employer before your scheduled time to show up for work. On a related note, if you have been sent back to work and then suffer a relapse and are unable to work, call your doctor, go see your doctor, and get a written note from the doctor. With a written excuse employers and workers compensation insurance adjusters cannot use your absence against you. LIGHT DUTY. If your doctor releases you to return to work with restrictions or to work light duty, be sure your employer, including your shift supervisor, has a written copy of your restrictions. It is your responsibility not to work outside the restrictions the doctor has assigned. Routinely employees injure themselves or do damage to the legitimacy of their case by knuckling under to pressure from their supervisors to “do their job”. The employee often proves the employer’s allegation that they are not hurt by working outside the doctor’s restrictions. Many times this work does permanent damage to the employee’s health and their case. If a written doctor’s restriction is not to lift over ten (10) pounds, then do not lift anything over ten (10) pounds regardless of what your supervisor says or threatens. STATEMENTS TO THE WORKER’S COMPENSATION INSURANCE COMPANY. Do not give a statement to the insurance carrier unless you have a worker’s compensation attorney. The simple fact of the matter is that ten times out of ten the purpose of the insurance adjuster taking a statement is to obtain information to use against you. Any representation that they cannot honor your claim without taking your statement right now is merely an internal procedure or fake. You would be much better served by consulting with your Wilmington Workers Compensation Attorney Todd McCurry before giving any statement. Things as seemingly innocent as explaining how your injury occurred could result in losing your benefits if not stated correctly, i.e., with an eye towards the legal implications involved. “I SPY”. Many insurance companies would rather spend money on private investigators than on employees. Due to occasional workers compensation fraud, most insurance carriers treat or suspect every claimant as a cheat and a faker. Behave at all times as if you are being watched. Many otherwise valid claims have been destroyed because persons with legitimate on-the-job injuries do something in the privacy of their own home or yard that apparently shows they are not injured. For instance, a former injury client who could walk only with a cane or walker for balance due to a knee injury purchased his wife a self-propelled lawn mower. She was, after all, stuck cutting the grass. Just to try it out, he put his cane down and used the self-propelled lawn mower to hold himself upright and did one slow, painful lap around the yard. This was filmed by a private investigator hired by the worker’s compensation carrier. The video introduced at trial made it appear as if my client cut the whole yard and even included a shot of the yard after it was cut. This gave the appearance that my client was faking when he said he could not perform work activity on his injured leg. By the way, his case was lost and this “faker” eventually had to have a total knee replacement. The last time I attended the annual Worker’s Compensation convention in Raleigh held by the North Carolina Industrial Commission about one-third of the booths were private investigation firms hawking their services to insurance carriers. 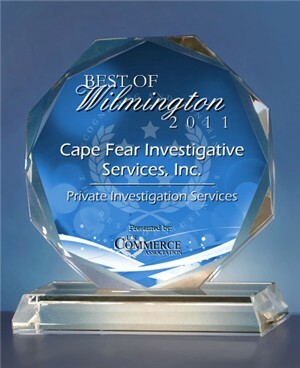 The purpose of hiring these private investigators is an effort to portray employees as frauds. While some fraud does occur, persons should protect their legitimate claims by acting as if they are always being watched. The real fraud is when an insurance company cheats an uninformed employee out of his/her workman compensation benefits. DOCTOR’S APPOINTMENTS. Attend all doctors’ appointments, physical therapy appointments, and get all prescriptions filled. In a surprisingly large number of cases, people injured on the job do not even bother to go back to the doctor. Later, they have serious health problems and the doctor cannot legally or medically connect the problems to their worker’s compensation injury. The client says, “Well I know my back was fine before I got hurt on the job.” There is no record of the employee receiving treatment for six months following the accident. This is a sure way to damage or end your worker’s compensation case. Likewise, if you miss your physical therapy appointments, the insurance company will portray this as evidence that you are not really hurt or do not have a legitimate claim. KEEP COPIES. Maintain copies of your appointment slips, doctor bills, work excuses, and keep track of your medical bills and mileage. Often times people are not aware that they are entitled for mileage more than twenty (20) miles to and from a doctor’s appointment. One must maintain exact records in order to get the necessary compensation. DO NOT LOSE YOUR TEMPER AT THE DOCTOR. On most occasions, the doctor you will be seeing will be one selected by the insurance carrier. The doctor naturally tends to see things in favor of the employer and insurance company. If this medical provider does not give you adequate treatment or take your claim seriously, you are automatically entitled to a second opinion. Do not lose your temper and get labeled a malingerer or troublemaker. This is a label that only makes your case more difficult. Arguing with a doctor will not help you. FINALLY, IF YOU ARE INJURED ON-THE-JOB ALWAYS CONTACT THE LAW OFFICE OF TODD E. McCURRY, P.A., Your Workers Compensation Attorney in Wilmington, North Carolina. I have been a practicing attorney for twenty-four (24) years and have experience handling workers’ compensation claims. I also study and read the new laws and case decisions as they come out. This study assures I am aware of all the breaking trends. Each year I attend many hours of Continuing Legal Education seminars and I attend selected seminars devoted solely to workers’ compensation. After doing some research online I came across this article about cheating wives’. I have to say after all the years I’ve been in business, more and more wives are cheating. The days of “men cheat more than women” are over. I did like some of the things listed here so I wanted to share it with you guys. I do not know who wrote it but I did add the links that came with it at the bottom. If you are have questions or are seeing things that “just don’t add up or make sense”, give me a call and we’ll discuss it and see if you need our services or maybe speak to an attorney. We can direct you in any way. Listed below are the most common findings about cheating wives. We also offer resources and advice for dealing with a cheating wife. All sources can be found at the bottom of this page. Women are less likely to cheat than men. While estimates of infidelity are difficult to establish, surveys consistently reveal that wives tend to be more faithful than husbands. When a wife does cheat on her husband, she is more likely to have an emotional affair. Women are less likely than men to have a one night stand. Because women are more likely to have an emotional affair, cheating wives tend to cheat with someone who is part of their social group – a friend, a co-worker, someone from school, church, etc. A cheating wife is also more likely to swap up when she cheats. Cheating wives tend to have affairs with men who have more status and resources than their husbands. Or women cheat with men who are better relational partners – someone who is more attentive, appreciative and understanding. A cheating wife is also more likely to consider leaving her husband when she is having an affair. Because female infidelity tends to be based on emotional intimacy, women often attach more significance to an affair. When women cheat, they are also more likely to view their infidelity as a symptom of the problems in their relationship. By comparison, men have an easier time separating infidelity from the problems they face at home. Women are also more likely to draw positive inferences about their physical appearance when they are cheating (e.g., I’m still attractive, I’m still desirable, etc.). When a woman does have a one night stand, it tends to be with someone who is more attractive and physically fit than her husband. Women are also more likely than men to use cheating as a means of getting revenge. While using infidelity to “get even” is rare, “revenge cheating” is more common among women. Every 15 seconds a woman is physically assaulted within her home. An estimated three or four million women are battered each year by their husbands or partners. Attacks by husbands on wives result in more injuries requiring medical treatment than rapes, muggings and automobile accidents combined. Medical expenses from domestic violence total at least $3 to $5 billion annually. Businesses forfeit another $100 million in lost wages, sick leave, absenteeism and non-productivity. The F.B.I. estimates that one out of two women will be physically abused at some point in their lives by men with whom they live, regardless of race or socioeconomic status; twenty-five percent of married women experience violence on a recurring basis. Children who witness violence grow up believing that violence is a reasonable alternative to solving problems. Sixty percent of children from violent homes become abusive adults. According to the National Crime Survey Data, men commit 95% of all assaults on spouses. In addition, the injuries incurred by men are much less severe than those sustained by women. As violence against women becomes more severe and more frequent in the home, children are 300% more likely to experience physical violence by the male batterer. Between 73% and 90% of the violent incidents occur in private settings outside the view of others. Only one out of every 25 victims of dating violence ever seeks the help of a teacher, minister, rabbi, police officer, or counselor. At least 40 percent of all domestic violence cases involve drugs or alcohol. However, drugs and alcohol do not cause the abuse, rather it provides an excuse for the battering to occur.